← The Anticipation of Awaiting the Birth of Christ! Holy Week, the week that begins with Palm Sunday and ends with Easter is the most important week in the Christian year. During this week, we remember the events of the last week of Jesus’ earthly life. From his Triumphal Entry into Jerusalem on Palm Sunday, through his preaching and teaching, the Last Supper and the Garden of Gethsemane, his arrest and trial, his crucifixion and death, his burial in a borrowed tomb, the three day “rest” in the grave, ending with his triumphant resurrection from the dead, we experience it all. At Fries Memorial Moravian, we will commemorate this special week with special services. Our Holy Week services begin on Palm Sunday morning with the sharing of Palm branches and the singing of the Hosanna anthem. 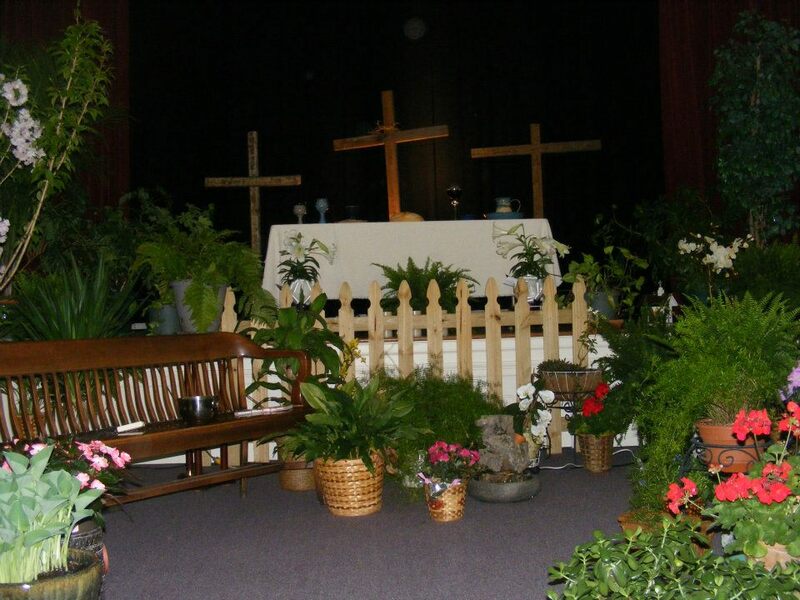 That evening, we will celebrate with a Lovefeast in our Fellowship Hall prayer garden and, through scripture and song, reflect on the events of the first Palm Sunday. Holy Week continues with reading services each evening at 7:00 in the Prayer Garden. On Maundy Thursday, we remember the Last Supper with a service of Holy Communion. We have two services on Good Friday. At 2:15, we will share in the events of the last hours of Jesus’ life and at 7:30, we will go from the light of life to the dark of death in our Tenebrae service. Our Easter celebration begins at 2:00 AM on Easter Sunday with our Church Band making rounds in the community to wake the sleepers to attend the Sunrise Service. As a member of the Salem Congregation, our church participates in the Easter Sunrise Service at God’s Acre in Old Salem. The Sunrise Service begins at 6:30 AM. The Easter service at Fries Memorial will begin at 11:00 AM. Please plan to make Holy Week and Easter at Fries Memorial a part of your spiritual journey this year. Contact the church office (336-722-2847) or the pastors (Joe: 336-540-4619 or Kelly: 336-540-4618) for more information.